Messiah - The Greatest Sermon Ever Sung Book Giveaway! "Why couldn't a Christian congregation use and listen to Handel's Messiah for Bible class?" Pastor Tony Pittenger, far from what anyone would call a "musician" began listening to "Messiah" and studying the Biblical texts that are sung. The goal was to produce explanatory comments which would shed light on the text yet brief enough so that the reader could return to listening with a better understanding of what they were hearing. That was 1996. Christmas of 2008 he combined his manuscript with various photographs of classical art and had a book made for Melissa, his wife. When family and friends asked for their own copies, Melissa talked Tony into hiring their own illustrator. A friend gave them the name of Jonathan Mayer, an alum from Bethany Lutheran College who was working toward a graduate degree in art. You can find his art work portfolio on his website, Scapegoat Studio, and read his blog there as well. They had 1,000 copies of the book "self-published" in March of 2012 and having sold out of that first run, they've ordered 2,000 more. While the book has been popular among individuals, Tony is most happy when Christian congregations use it to help them listen to--and study--Handel's Messiah. "Messiah" is the story of your salvation in instrument and voice; it is a feast for the soul and for the ear. Jonathan's illustrations make it a feast for the eye as well. Stunning! His Isaiah 40 image captures the increasing rays of light as "Messiah" begins with a message of comfort for God's people. 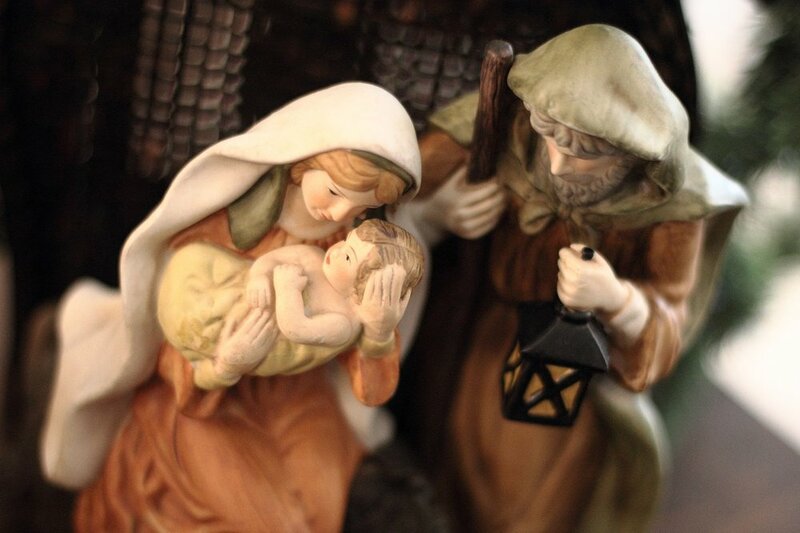 His Isaiah 9 image foretells Mary's joy as she holds, not only her newborn son, but the world's "Wonderful Counselor, Almighty God, Everlasting Father, Prince of Peace." Jonathan captures that anger and defiance of the mob from Psalm 22. Perhaps most iconic is his illustration of John 1:29 "Behold the Lamb of God, that taketh away the sin of the world." You can purchase "Messiah--The Greatest Sermon Ever Sung" for $18 + shipping through its Facebook page. Look for the "Shop Now" button. Or simply click here! Heather H! You are the winner of the Christmas book "Messiah - The Greatest Sermon Ever Sung"! Congratulations and Merry Christmas! What is your favorite Christmas book for the family? Click here to see a post of our top picks! While you're commenting below hit play and enjoy the "Hallelujah Chorus" from Handel's Messiah!